Insider threat has always been an important hidden danger of information system security, and the detection of insider threat is the main concern of information system organizers. Before the anomaly detection, the process of feature extraction often causes a part of information loss, and the detection of insider threats in a single time point often causes false positives. 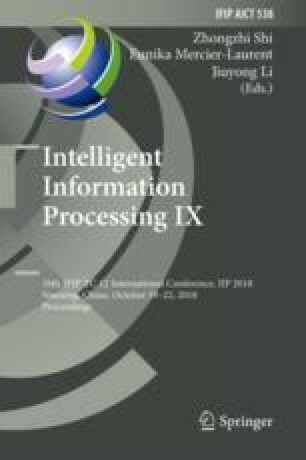 Therefore, this paper proposes a user behavior analysis model, by aggregating user behavior in a period of time, comprehensively characterizing user attributes, and then detecting internal attacks. Firstly, the user behavior characteristics are extracted from the multi-domain features extracted from the audit log, and then the XGBoost algorithm is used to train. The experimental results on a user behavior dataset show that the XGBoost algorithm can be used to identify the insider threats. The value of F-measure is up to 99.96% which is better than SVM and random forest algorithm. The authors would like to thank the anonymous reviewers for their detailed reviews and constructive comments, which help improve the quality of this paper. Supported by Beijing Natural Science Foundation under Grant No. 4172006, General Program of Science and Technology Development Project of Beijing Municipal Education Commission of China under Grant No. km201410005012, the Key Lab of Information Network Security, Ministry of Public Security, Humanity and Social Science Youth foundation of Ministry of Education of China under Grant No. 13YJCZH065; General Program of Science and Technology Development Project of Beijing Municipal Education Commission of China under Grant No. km201410005012; Open Research Fund of Beijing Key Laboratory of Trusted Computing, Open Research Fund of Key Laboratory of Trustworthy Distributed Computing and Service (BUPT), Ministry of Education.